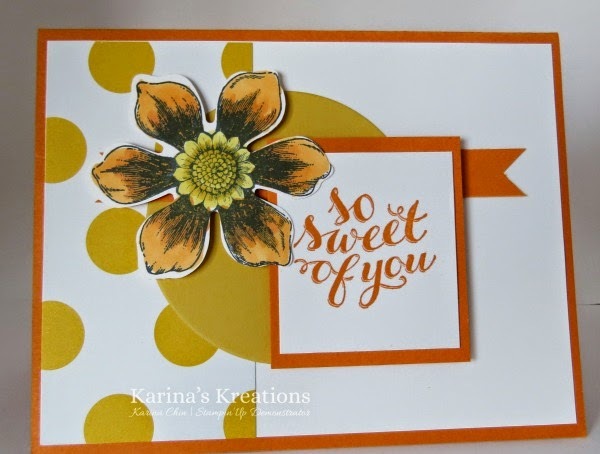 Karina's Kreations: Beautiful Bunch Blendabilities Card! Have you got the new blendabilities markers yet? Organize a stamp night for you and 5 friends and make this super cute card using Pumpkin Pie and Daffodil Delight Blendabilities markers. 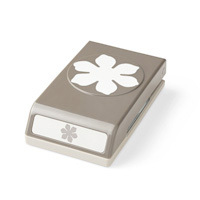 The greeting is a hostess only stamp set which I'll give you as a thank you gift the night of your private class. We'll also make this cute card on August 13 as part of my blendabilities class. I made a quick video for you showing how to color in your flower.